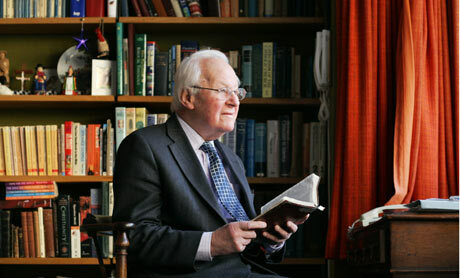 Dr. John Stott was known worldwide as a preacher, evangelist and communicator of the Word of God. For many years he served as rector of All Souls Church in the Business District of London where he carried out an effective urban pastoral ministry. He was a leader among evangelicals in Britain, the United States and around the world. As an author he wrote many books, including Why I am a Christian, Basic Christianity and The Cross of Christ. The comments posted here are taken from The Living Church, Convictions of a Lifelong Pastor. I have said that I wished this book had been in my hands years ago as young pastor. I believe every pastor and every man and woman who holds a leadership role in a local congregation should read this book. Hopefully some of the brief quotations will encourage you to acquire a copy and read it again and again. The aim of these quotations is to encourage you to think about a Living Church. * Is the church in reality organized only for itself? * Do we imprison our members in the church? * The local church must also articulate its message. * The church is supposed to be God’s new society. * God calls us to be a community of love. * Everybody cannot do everything. * All Christians are called to ministry. * God calls different people to different ministries. * Christian oversight is pastoral oversight. * There is no biblical warrant for the so-called one-man band. * It is not our church; it is God’s. * Small groups are indispensable for our growth into spiritual maturity. * We are to share not only our material wealth but also our spiritual wealth. * All Christian preaching is biblical preaching. * Authentic Christian preaching is a bridge-building operation. * All preaching should lead people to the Scriptures. * The very concept of a self-appointed, self-made preacher is grotesque. * In all authentic preaching the mind and the emotions are both engaged. It is my desire that these brief statements will stir your thinking about deeper aspects of church life. We look around and we see too many dead or dying churches. This saddens the heart of God. The word of God holds the secrets to a Living Church. Let us pray for a fresh wind to blow upon our churches. May the life giving power of the Holy Spirit come upon them is my prayer. This entry was posted in church, Uncategorized and tagged church, encouragment, photo by roger willmore. Bookmark the permalink.